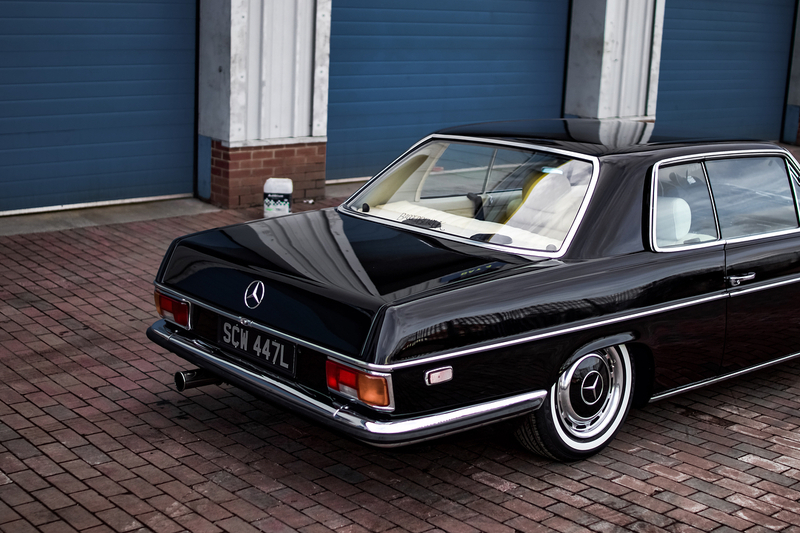 Visually, the whole car was on point: lashings of chrome, a leather-clad interior, and a killer stance over period-correct wheels. 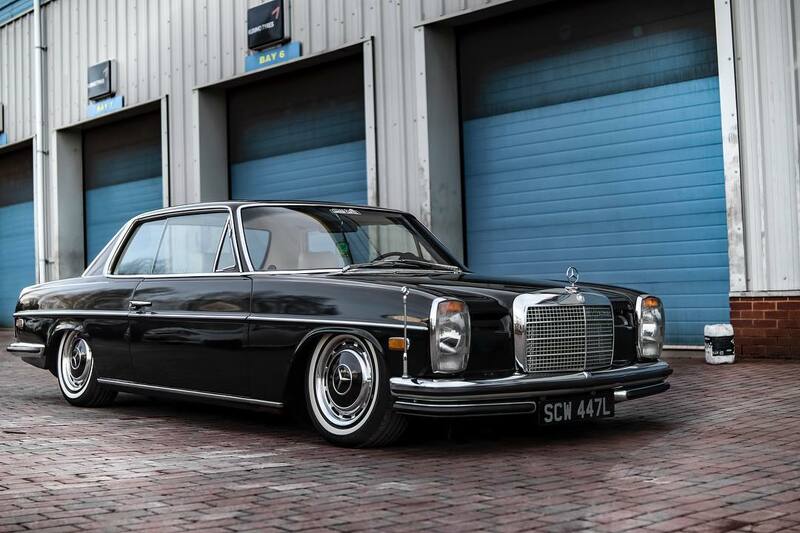 Visually, it was the epitome of a low and slow Benz, the sort of thing you’d expect to see wafting around town with a V8 soundtrack behind it. But this particular Benz doesn’t boast a V8, and it’s not even petrol. But it is MIGHTY fast. At the center of all that boost is a Mercedes OM606 engine, taken from the W210 E300. 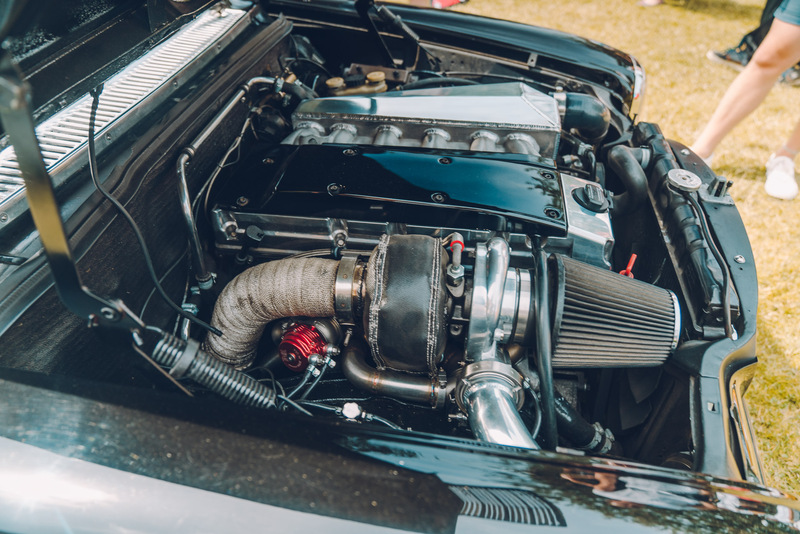 This straight-6 turbodiesel lump only makes between 130-170bhp in standard trim (albeit with a load more torque) but, like most Mercedes engines of this era, it was hilariously under-stressed and over-engineered from the factory. The solution? Strap a giant turbo to the side and wind up the boost! 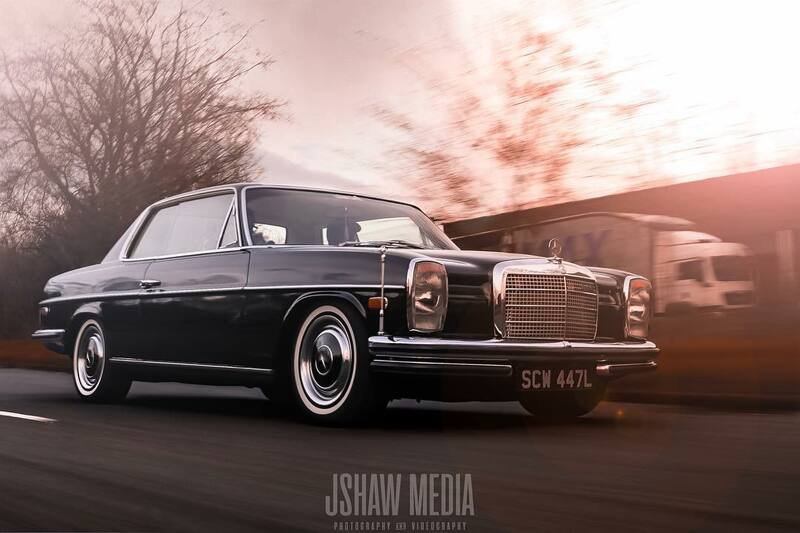 We’re sure there’s a bit more work involved than just that, but Dan’s W114 (nicknamed the Superturbodiesel) makes for a refreshing change from the usual V8-swapped Benzs’. 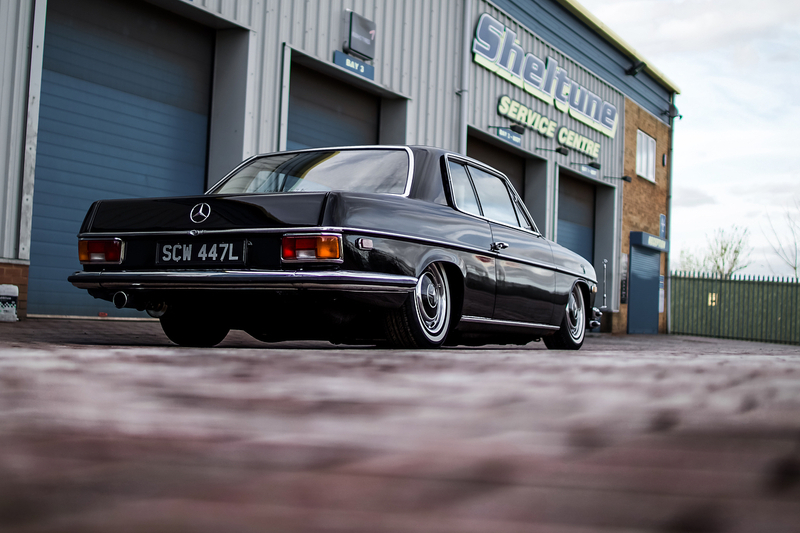 Combine that with a killer stance achieved by an Air Lift Performance air suspension and you’ve got one of the best sleepers we’ve ever laid eyes on. ‘Cuz let’s be honest, if you saw this pull up at a light and start revving, the last thing you’re going to expect is being left behind in a cloud of black smoke.